I just got back from spending a few days advocating with the American Psychiatric Association (APA) on Capital Hill in Washington D.C. and want to share my thoughts on this amazing experience. 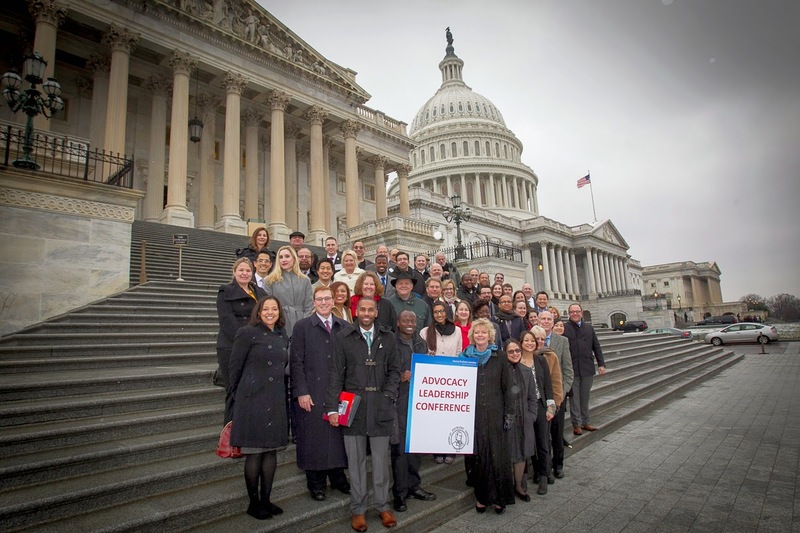 I was joined by psychiatrists from across the country who traveled to the nations capital to promote mental health. We were brought up to speed on several bills that are aimed to improve mental health care delivery to all Americans and others that are aimed to improve the care of our Veterans. Some of our group in front of the Capital. One of the highlights was Senator Al Franken's remarks. He addressed our group and accepted an award for his work and dedication to promoting mental health causes. He has championed a bill that educates teachers, school officials and first responders to identify and help those who are suffering from mental illness. These efforts have already saved lives; cutting down unnecessary aggressive and sometimes deadly responses to those suffering from a mental disorder. It was a little more cold and snowy than Arizona! A local colleague and I visited both the house and senate offices of the great state of Arizona. I was highly encouraged to find allies, fighting for improved mental health care delivery, on both sides of the aisle. It was an honor to represent my colleagues, neighbors and patients. While the approval of those who represent us in Washington may be at historical lows, there is still a feeling of history and national pride when you step inside the Capital. I was left with the feeling that if we work together on both the state and federal levels, we can improve the delivery of mental health diagnosis and treatment across our country.